But what can we do? 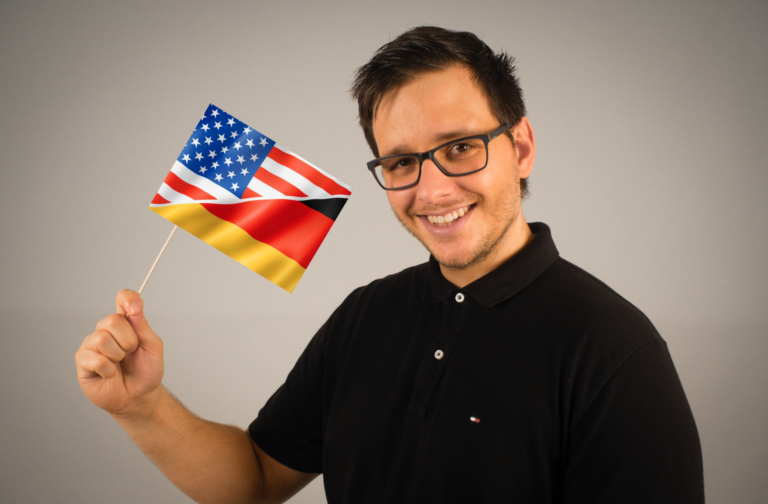 There are several ways that can resolve this issue. 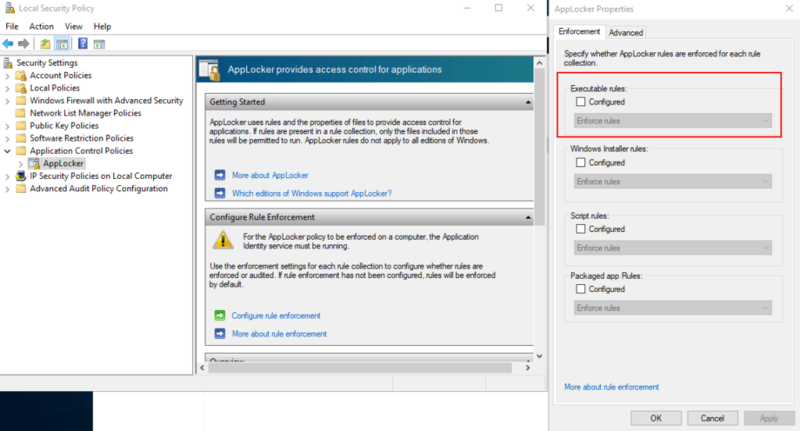 When you enforce AppLocker to run but don’t want anything to be restricted yet you will probably start whith this step anyway. 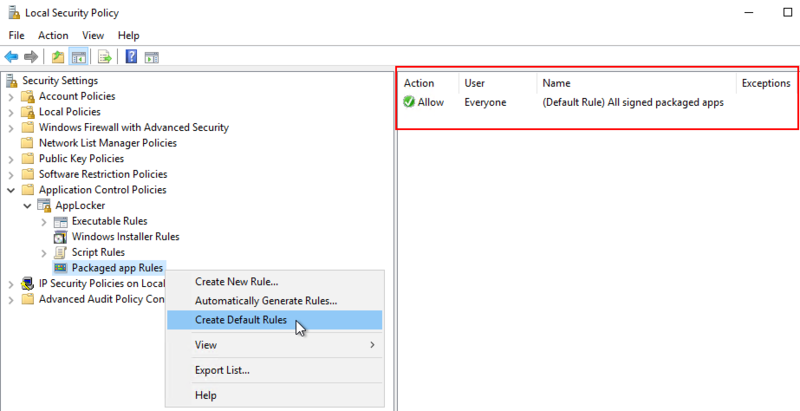 So click on each of the categories “Executable Rules”, “Windows installer Rules”, “Script Rules”, “Packaged app Rules” and “Create Default Rules”. Right-click and choose Create Default Rules. That allows Everyone to run All signed packaged apps. After that configure AppLocker policies to be enforced and restart the computer. After reboot open up services.msc search for “Application Identity” service and make sure it’s in “running” -state. There is a chance that this has fixed your client. This will scan the image to check for corruption (further information can be found here). Depending on the size and performance of the machine this can take very long. Afterwads you need to do a reboot. 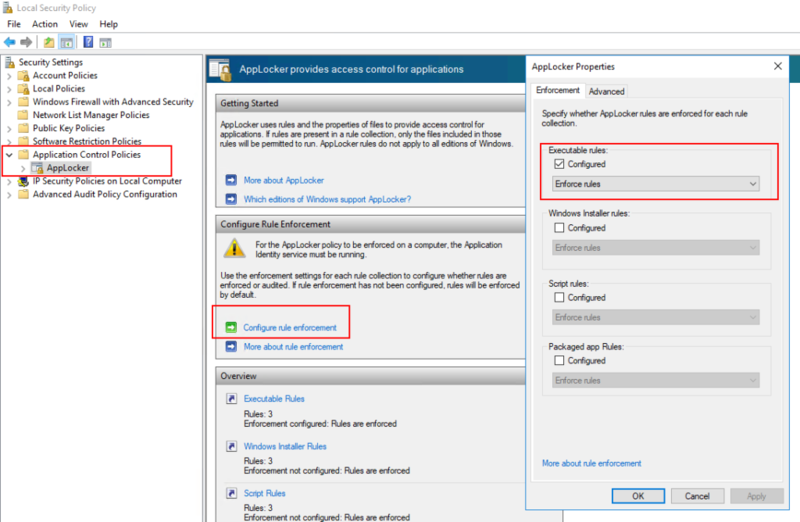 This szenario is the most effective one but be careful it will delete all your previously created AppLocker rules! After the reboot open up Local Securtiy Policy again. 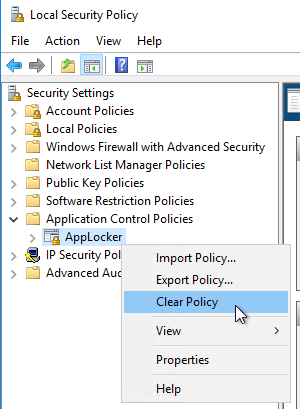 Navigate to AppLocker, right-click and “Clear Policy”. Then again reboot the machine. Save the file as “clear.xml” in a directory (for example C:\temp). 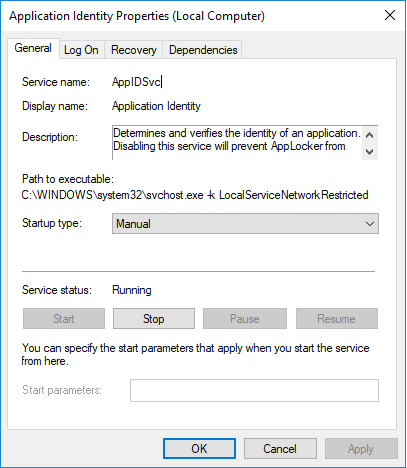 And execute the Set-App Locker Policy command to clean everything up. Afterwards let’s say in 90% of the scenarios the machine will work as before AppLocker was enabled. In some very though circumstances where this didn’t resolve the issue I had to clean up the AppLocker directory manually. Rerun the above PowerShell cleanup and reboot the machine. Wow, I thought I had completely hosed my machine — I was testing Applocker a few months ago, and recently removed and readded my computer to the domain and suddenly couldn’t run certain programs like calc.exe and Windows Defender. I did all the steps and the last step worked for me as well. The applocker seems to be a nice idea, but it is SO broken.  My client wanted to limit the user access only to a ERP app, so I did some testing with Applocker, but it messed up the newly installed system so badly. The rules weren cleaned and they were applied even after deleting.